Tesla Home Charger -Plano Texas Handyman installs Tesla Home Charger. With the advent of the electric automobiles, home chargers are becoming more common-place. We have a long list of units installed across the north Dallas Metro, Plano Tesla, and Irving Tesla. Below is a list of the most common wiring apparatus for Tesla Home Chargers. Call today for a quote on your installation at 214-507-3415 or visit our website for more information. 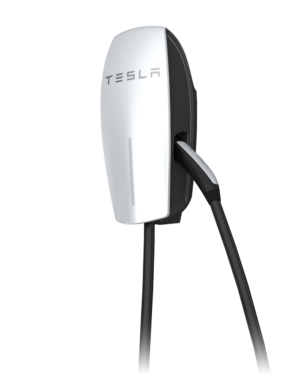 Listed below are the most common devices for Tesla Home charging. We install Tesla Home Charging Stations for all panel products: Square D, Eaton, General Electric, and a few others. Installation charges for a Mobile 1450 with standard charges start at $350 and the Tesla wall connector at $450. Tesla Home Charger. Each Tesla has different charging capabilities depending on its onboard charger. The table below shows circuit breaker rating for the fastest home charging speeds. Learn more about the onboard charger capabilities of different Tesla cars. For all trims not listed, open the charging menu from the charge icon on your touchscreen to view your maximum charge rate.